When I was 13 I had the worst day of my life. In one day I found out that I hadn’t made the soccer team and I had also failed my PE test (It’s only today that I can appreciate the irony of those two synchronized events). At the age of 30, after a break up, I found myself having an even worse day than the one I had when I was 13. I let one bad day turn into a bad time in my life. I found myself in a rut. Luckily for me, a better, stronger, happier me was waiting right around the corner. I joined the Junior League shortly after my 30th birthday and at first I didn’t see the direct connection between helping my community and how that would eventually help me get out of my personal rut. At first there were things that I thought I couldn’t do or that I was afraid to do, regardless, I did them. I quickly learned that I could accomplish great things. I could become a part of a bigger mission. I spent my first year in the league learning more about myself that I had in the 29 years prior. By focusing on improving my community, I was improving myself. I recently attended a meeting where a prominent speaker in the world of philanthropy spoke about her personal journey and how she is still learning. It was during this speech when I realized that I too am continuously evolving. There are multiple versions of who I am and each of them improves upon itself. I now look forward to future versions of myself as I now have the tools to dig out of any rut. My challenge to you is to identify where you are today and improve upon the current version of yourself. I am challenging my 13-year-old self by running a half-marathon in three weeks. I challenge you to find what it is that will make you a better version of yourself. 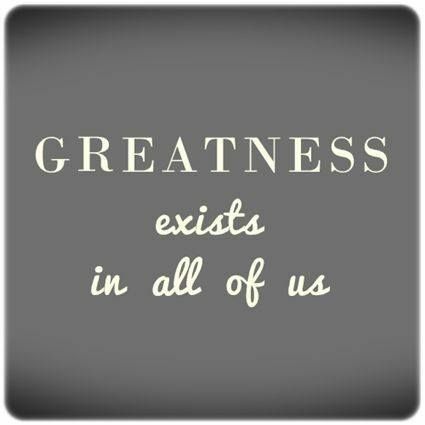 “We all have it in us to perpetuate greatness.” These are words that I live by and I dare you to do the same. This entry was posted in Character Development, Self Esteem and tagged #bemetter, #greatness, #JLLB, #juniorleague, #longbeach, #stronger, #theconfidencepost. Bookmark the permalink.